Entrance fee – 100 rubles. Third Sunday of every month: free admission for all visitors. From Altufievo subway station by Bus No. 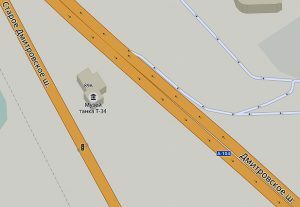 519 (final destination – Marfino) to Sholokhovo Village, the stop near Kashtanovaya Roscha (Chestnut Grove) Shopping Center. Attention: at boarding ask the driver to stop the bus at Kashtanovaya Roscha. Exit from the first car of the subway train to the pedestrian underpass (turn right upon getting off the train and go up the stairs leading to the pedestrian underpass, then turn left in the end of the underpass, go up the stairs and turn right to cross Cherepovetskaya Street and go straight ahead to the bus stop which is located in 70 meters from the underpass exit near Перекресток (Crossroads) Supermarket. Bus travel time: 25 minutes or more (depending on the traffic on Dmitrovskoye Shosse). The buses depart from Altufievo at: 09:50, 12:15, 15:00. The Museum is located in Sholokhovo Village opposite the bus stop. The Museum is approached from the main street of Sholokhovo Village. You can reach the main street by taking the paved passage running perpendicular to Dmitrovskoye Sosse near the last residential house of Sholokhovo Village. From Savelovsky Railway Station (Moscow) or Timiryazevskaya Platform (located near the subway station of the same name) to Katuar Platform. 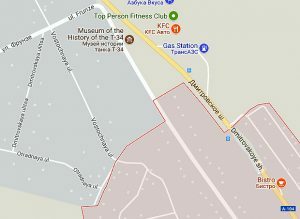 Take bus 70 (final destination – Аксаково (Aksakovo) to Sholokhovo Village – Tank Museum bus stop. Bus travel time: 15 minutes or more (depending on the traffic on Dmitrovskoye Shosse). The buses depart from Katuar Platform at: Saturday and Sunday – 10:30, 11:30, 12:30, 14:45; Monday – Friday – 09:40, 11:35, 12:30, 13:11, 14:45. From Savelovsky Railway Station (Moscow) or Timiryazevskaya Platform (located near the subway station of the same name) to Lugovaya Platform. At Lugovaya go along the platform to the railway crossing, turn right and have a 3 km walk along the paved road leading directly to the Museum. We recommend taking this trip only in good weather. Be careful of the traffic on the road! The museum is located in 17 kilometers from the Moscow Circular Road on Dmitrovskoye Shosse. Follow the road signs (turn right as shown by the sign in Russian «Музейный комплекс «История танка Т-34» /T-34 Tank History Museum/), then immediately turn left under the bridge and make the first turn right to a narrow short road leading to the main street of Sholokhovo Village. Turn right again and you will see the Museum which is about 400 meters away. Follow the road sign directing to the Museum. If you are on the way to Moscow, take the right lane when entering the Sholokhovo Village. Near the 89 km sign turn right as shown by the sign in Russian that reads «Шолохово, пансионат «Аксаково», Федоскино, музейный комплекс «История танка Т-34» (Sholokhovo, Aksakovo Holiday Home, Fedoskino, T-34 Tank History Museum) and take a narrow short road leading to the main street of Sholokhovo Village. Turn right again and you will see the Museum which is about 400 meters away. 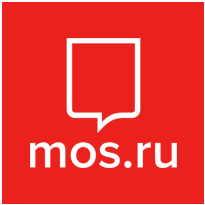 Attention: www.museum-t-34.ru is the only official site of the T-34 Tank History Museum.